with a comprehensive, unified talent suite. Transform recruiting into a continuous, strategic part of your talent strategy with the only end-to-end recruiting solution that helps you source, engage and hire the world’s best candidates while providing guidance at every step. Ramp and retain external and internal new hires. 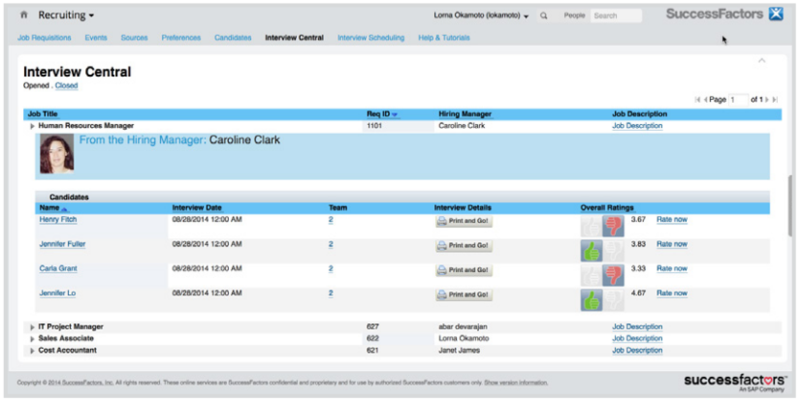 Unlike other onboarding approaches, only SAP SuccessFactors Onboarding provides a comprehensive approach to accelerate people, streamline hiring manager, HR and new hire process, and improve productivity. A core HR solution should not only serve as a “system of record” for all people- and HR-related data, but also as a platform where everything in the organization comes together to transform the work experience. The HR organization can build value-based relationships with everyone supporting the business – engaging permanent and external workers to collaborate in new ways, using consumer-style tools and social HR. Put employee performance at the center of the process so your people can perform at their best. Keep your workforce constantly focused on the right business objectives, help employees improve and succeed with ongoing feedback and coaching, and accurately measure the value and impact of your employees. 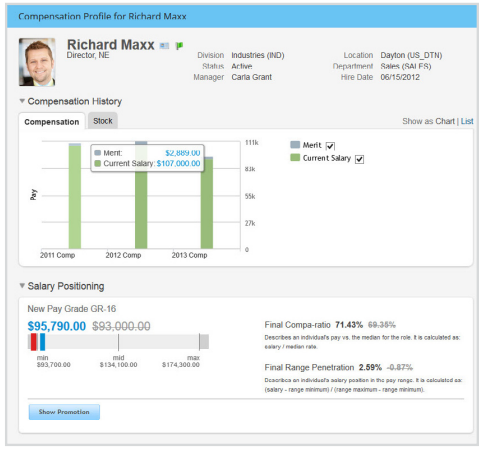 Align compensation programs with business objectives, create individual compensation plans to attract, motivate and retain top talent, and communicate the value of total compensation to employees. 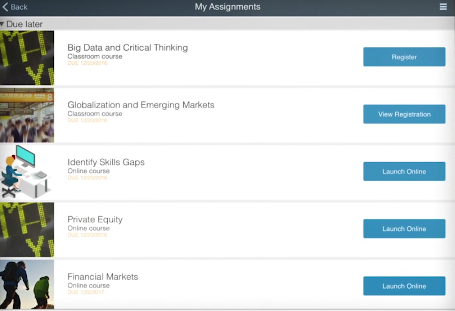 SAP SuccessFactors provides a flexible, global compensation solution that accelerates and optimizes decision making and ties your greatest expense– employee pay – to actual business results. 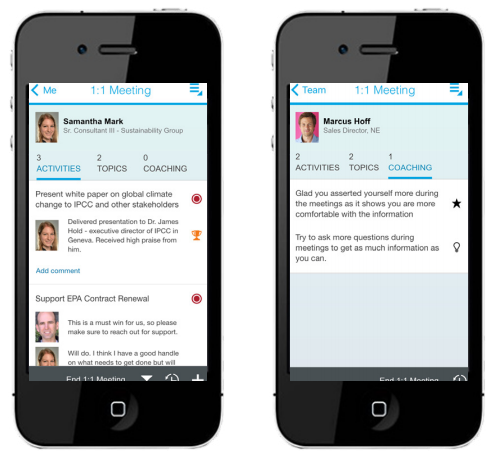 Improve employee skills, reduce compliance risk, and effectively engage any learning audience with one comprehensive, modern Learning solution that improves engagement and reduces complexity and cost. 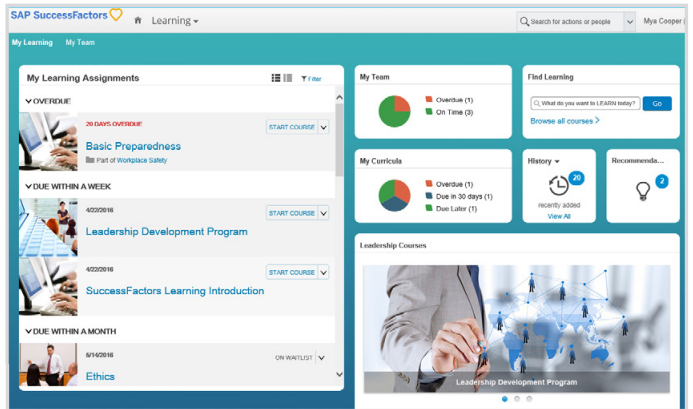 You will be able to deliver any modality of training anytime, make the path to learning more personalized, and easily measure your learning results. Identify and develop the talent needed to improve organizational strength and achieve today’s business goals, while providing visibility and planning for future growth at all levels. 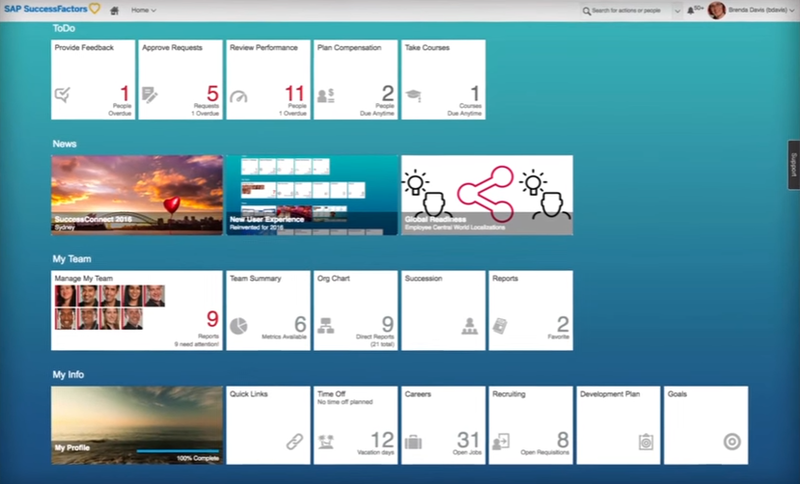 Improve employee engagement and retention with continuous development and career planning. While each solution can be used alone, they can also be seamlessly used together – to support a comprehensive talent management strategy that further aligns, optimizes, and accelerates the workforce.